If you have made the decision to sell your home and are wanting to make some improvments, you should know which room to put your most effort into. According to Remodeling Online’s 2005 Cost vs. Value Report, your best bet is the kitchen. Even a minor kitchen remodeling project will return an average of 98.5% of its cost when it comes time to sell the home. 1. 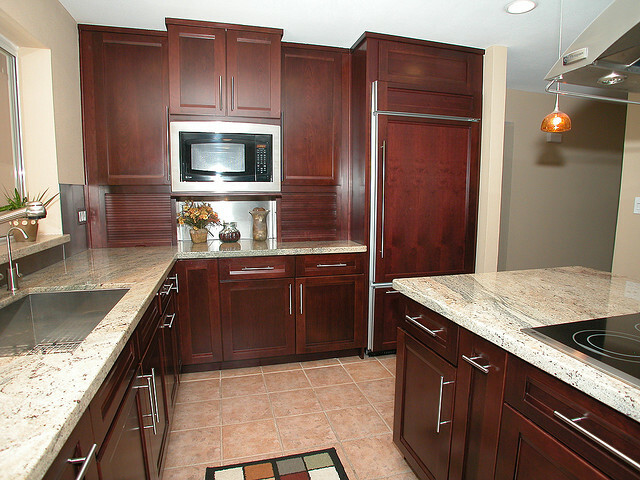 Paint or re-stain worn wood cabinets. 2. Install cabinet hardware. Stay with simple and neutral hardware, avoid large clunky designs. 3. Remove outdated or busy wallpaper and any bold, bright paint. Stick with neutral colors. 4. De-clutter all counter tops, keep them free and clear of appliances, butcher blocks and knickknacks. 5. Update the faucets. New faucets can make a outdated sink look revitalized. Faucet replacements are also fairly inexpensive and simple plumbing projects with all of the parts available at your local hardware store. 6. Remove photos, calendars and personal effects from the refrigerator door. 7. Updated and simple rugs and towels with a splash of color can bring warmth to a kitchen. Replacing outdated appliances and flooring are great improvements that should be considered but may not always be part of your budget. Keeping a kitchen clean and maximizing space is key to getting buyers interested. Always remember to keep garbage cans, and pet bowls etc. out of sight. Tax time is here, but homeowners have an advantage with many tax breaks. Make sure you’re not missing out on important home-related tax deductions. Everyone has a different situation and you may actually qualify for other deductions you were not aware of, so always check with your tax advisor to find out which deductions apply to you. Below are some of the common deductions. Deducting Real Estate Taxes. Real estate taxes are deductible in the year paid. They are generally reported on Form 1098, Mortgage Interest Statement, the annual statement from the financial institution holding your mortgage, or on your county real estate tax assessment statement. You should also deduct any prorated taxes collected from you at closing. These amounts are not always included on Form 1098, but may be itemized on your real estate closing statement. First-time home buyer credit. A $7,500 tax credit is available to eligible taxpayers must have bought, buy, or enter into a binding contract to buy, a principal residence on or before April 30, 2010 and close on the home by June 30, 2010. For qualifying purchases in 2010, taxpayers have the option of claiming the credit on either their 2009 or 2010 return. and before July 1, 2009. You are considered a first-time home buyer as long as you did not own a home during the three years leading up to the purchase of your new home. Health-Related Improvements - Any home improvements for medical purposes can be deducted entirely from your taxes as long as the improvements do not add to the overall value of the home and have been made for a chronically ill or disabled person. Moving expenses. If a move is connected with taking a new job that is at least 50 miles farther from your old home than your old job was, you can deduct travel and lodging expenses for you and your family and the cost of moving your household goods. When we decide to sell our homes we often think of the improvements that need to be done. We would hope that these improvements would increase the value of our home and make it more attractive to potential buyers, but what "we" like in a remodel may not neccessarily be what the buyer wants. Everybody has different ideas and tastes when it comes to the decorating, form and function of their homes, so how do we know how far to go with a remodel? 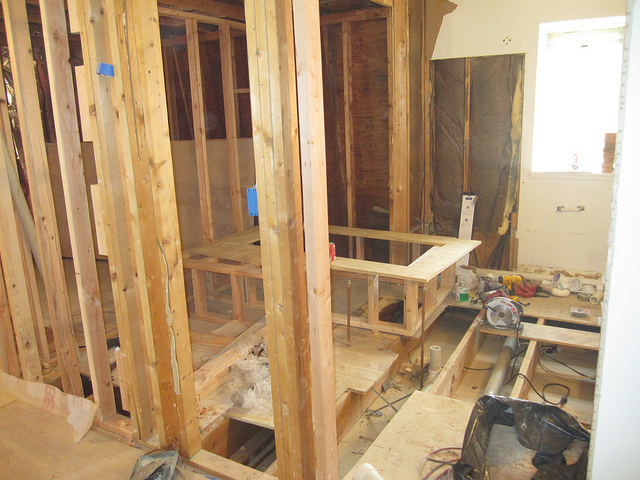 The article, Will a Remodel Help You Or Cost You Upon Resale? might put your ideas of remodeling into perspective. Household improvements are great and should be done, but we should think carefully before investing a lot of money in a "personalized" remodel that may limit our potential buyers market. If you have never sold a home before, here is something you may want to consider when determining the price you will accept. First of all, it is important to understand that most real estate purchase contracts include a variety of contingencies that must be met in order for the transaction to close. The most common of these contingencies are mortgage financing, attorney reviews and home inspections. While mortgage financing contingencies will typically run for a period of about month allowing the prospective buyer time to obtain a mortgage, the attorney review and inspection contingences are typically much shorter and run concurrently. Most will expire within a week of the contract acceptance date unless extensions to the time permitted are granted. One of the biggest reasons that contracts fall through are the home inspections. The vast portion of today's buyers will have home inspections and the vast portion of home inspections will result in a list of issues that need to be addressed and amicably resolved between the buyer and seller. As a seller it is best to negotiate and expect that there will be a list of issues, hopefully minor and hopefully ones that can be resolved. One good practice to consider would be to negotiate your contract price with the anticipation that there will be issues raised that will require the seller to make repairs or offer credits to the buyer to accept the problem. Obviously, this type of occurrence impacts the seller's net. Thus, it is prudent to plan for this when accepting a price and build into that price some slight padding so that when these issues surface, they can be handled without the feeling of loss of profit. Insightful homesellers who plan ahead will then find themselves able to more easily reach agreement, resolve and dispel the buyer's inspection concerns without feeling squeezed. So what your dollars really mean when selling will likely be determined only after an inspection has occurred, results of it are presented and a resolution between the principals is reached. The old saying, "Don't Count Your Chickens Before They Hatch," is applicable to most real estate transactions. Those chickens can really only be counted after the inspection process has been completed!